The One-Line: Jack the witch hunter's battle against the local coven of witches is complicated when he falls in love with one of them. Synopsis: Welcome to the annual Witches of the [Name of your town or school] Coven Conference! 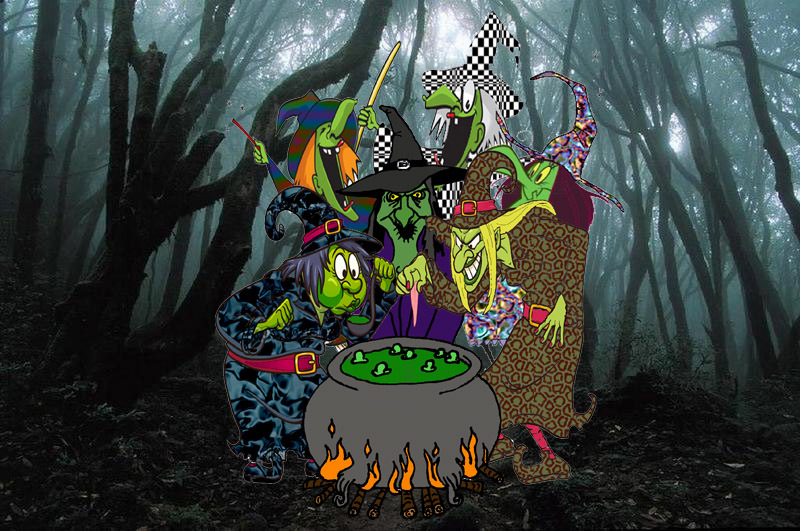 All the witches have assembled themselves at Willow’s lair to discuss their new strategy for capturing children and turning them into tasty treats. But Jack the witch-hunter has found out about their meeting and enlists the help of all the children in the audience to trick the witches and create a brew that will destroy them once and for all. But he hits a snarl when he falls in love with the newest member of the coven of witches. AUDIENCE PARTICIPATION NOTE: Audience participation is written into this play but it is completely optional. Whenever the script uses children from the audience, the option would be to use plants or having the characters of Hansel and Gretel do all the audience participation parts. However, using the children in the audience is simple and adds a lot of energy to the production.